Securing property to gain business funds is a common requirement in business lending. Property secured against funds can be in the form of personal property or business assets. The business lending market is large and competitive so comparing loan rates should be a prerequisite before applying for any secured loan. Security on loans is a guarantee of payment should the borrower find themselves in trouble and unable to repay the loan. The security applied to secured loans is for the lender not the borrower. Businesses can fail as well as succeed and lenders are well aware of the fact that many new businesses fail rather than succeed. By securing property or business assets to a loan, the lender has a guarantee that these can be sold and used to repay the loan should repayments not be met. These are just a few of the stipulations that will need to be met before funding will be granted. Business loan lenders will usually ask borrowers to attend an application interview and there will be a lot more questions asked. Proof of previous experience in the business world and a personal investment in the new business will be required. If property such as the family home is to be used as security then this may require a co-signature from anyone else who has an interest in the property. This could be a husband, wife, or partner, and the co-signer needs to be fully aware of the consequences of co-signing a loan. By agreeing to use the property as security the co-signer is also liable for debts as well as the original borrower. Co-signing a loan should only be undertaken after much consideration and advice from financial advisors. A lot can change over the course of a long-term loan so think carefully on the consequences of co-signing any secured loan. No loan agreement is set in stone and there should be some room for negotiation between the lender and the borrower. Details such as repayment terms, payment holidays, early repayment, and fees and charges should all be open to discussion. There are some factors that cannot usually be negotiated, such as interest rates, but apart from the basics almost all the terms and conditions should be open to negotiation. Make sure that you fully understand and agree to all the terms and conditions in the loan agreement before signing on the dotted line. Achieving the best secured business loan should include a fair amount of research. Online comparison sites are a good tool when trying to find the best rates on the market. Online only lenders may be able to offer lower interest rates due to the lower overheads. Always check online lenders and high street lender’s websites individually. Comparison sites will not list all the available lenders on the market, so it is a good idea to scour around and check rates before applying for any loan. 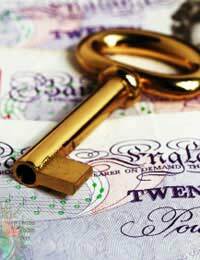 The consequences to secured loans should be carefully considered before applying. Making sure that repayments can be met is vital in order to ensure that property or business assets are not repossessed. A contingency plan should be set in place in case difficulties occur and loan repayments cannot be met. Loan agreements are complex legal contracts and they should be fully read and understood before the contract is signed.